The Gooseneck design helps eliminate awkward hose connections in hard-to-reach areas where you need the connection facing out and not down. 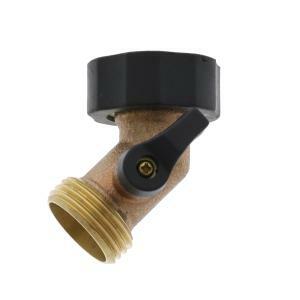 The standard 3/4" hose thread connections attach easily to your outdoor faucet and garden hose. Leak free ball valve allows you to adjust the flow. Comfort grip on female swivel connection for easy hand tightening.